We were pleased recently to be able to supply some bespoke products for Nicholls Industrial and Commercial Building Services, who specialise in project management and construction to the food and beverage industry. 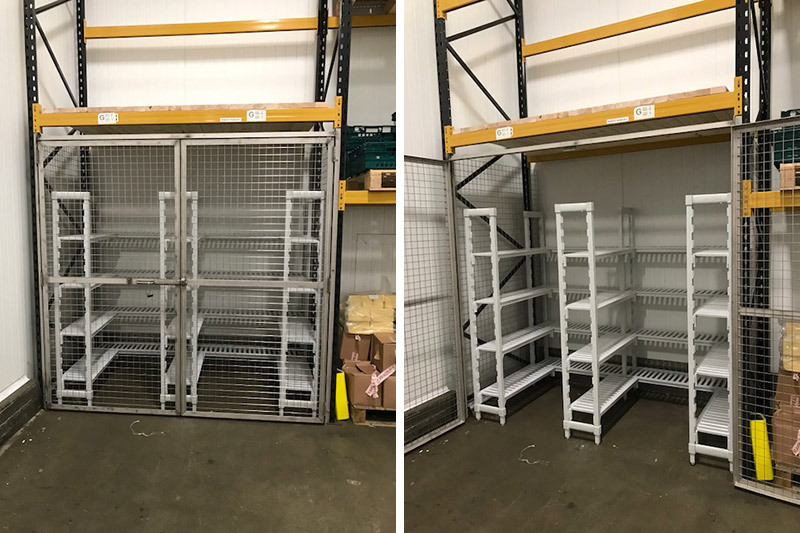 They came to us as they had recently installed some customer-built cages for a cheese supplier and now required bespoke-sized hygienic shelving to fit inside to enable them to store their dairy products. The solution was for us to get some polypropylene shelving units manufactured to the exact size required, which our contact there, Ricky, was kind enough to photograph for us. Everyone was very satisfied with the results and we were pleased to be able to get involved in the project and provide an effective solution.